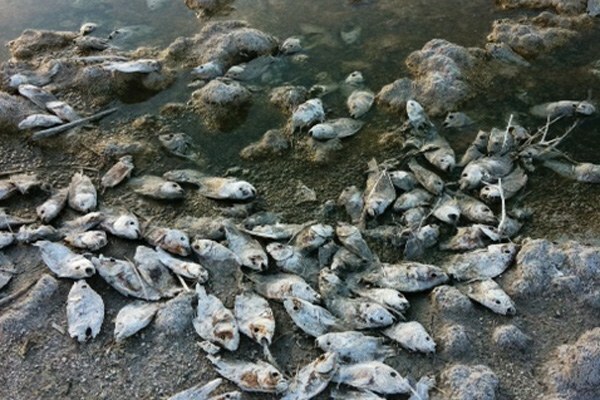 Dead fish on the shore of the Salton Sea. At the end of 2017, a 15-year-old agreement that brought regular water deliveries to the Salton expired, exacerbating its issues. California agencies have failed to complete restoration projects, despite the state Legislature allotting $80.5 million for the sea in 2016. In mid-January, Riverside County Supervisor Manuel Perez proposed a $400 million taxpayer-funded solution that involves building a berm and forming a new freshwater lake from the Whitewater River. That would both tamp down toxic dust storms and provide taxes from new recreational opportunities. The commission will vote on the plan in the next few months.